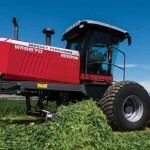 Curtis Industries LLC has announced the release of its cab system for the Massey Ferguson GC1700 Series sub-compact tractors. The all-steel cab frame, doors and roof are constructed of powder-coated commercial grade steel. Tilt out windshield and dual sliding glass windows offer ventilation in any weather condition. 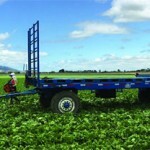 The cab mounts independently of the existing factory ROPS (Roll-Over Protective Structure). Total-seal doors are pin-hinged for easy removal. 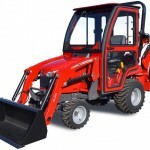 For tractors equipped for backhoe operation, the rear panel removes quickly and pop-up roof is supported with gas shocks. A second cab version is available with vinyl doors that feature a welded structural-steel frame, full perimeter weather stripping and clear vinyl rear panel. 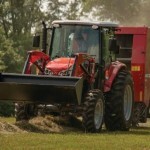 Both cabs fit the full line of Massey Ferguson GC1700 series tractors (GC1705, GC1710, GC1715 and GC1720). 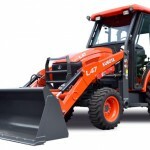 Cab features include lockable doors and a 12VDC windshield wiper. An optional rear wiper is available for the all-steel cab. In addition to standard features you can customize the cab with Curtis accessories such as roof-mount LED strobe and work lights, rear work lights, mirrors and heater.